Risk in simple words is a threat. Business risk is any danger to a business that can stop it from flourishing. Handling and managing risks is called risk management. 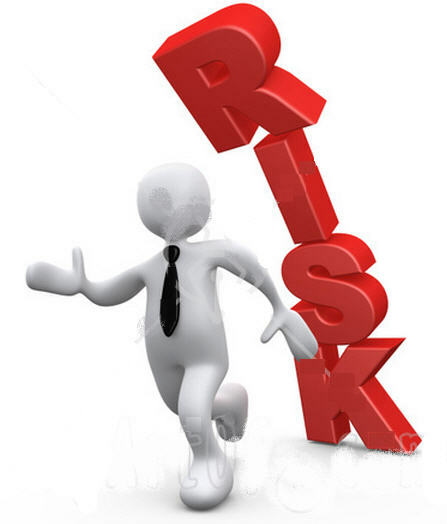 It is a complex process that involves identifying risks and finding ways to minimize the dangers associated with them. In an ideal situation, a prioritization method is followed where the most obvious and dangerous risks are handled first. Since risks are a future occurrence, one is not sure of them happening or not happening, which is why there is a probability associated with every kind of risk. The ones that have higher chances of occurring are taken care of first before moving to the less dangerous risks. The process of doing so can be difficult because it is not always easy to properly identify and assess risks. Understandably, risk is something that is always associated with business. The form and type of risk might change with changing times and situations; however, there is always some kind of a danger hovering over any kind of a business. If small businesses face risk of being overtaken by big corporations, big businesses have the fear of running into financial or legal trouble. This is why every business has to take steps and manage the risk factor so that the dangers can be reduced. However, as mentioned above, risk management is not very easy. The first step is to identify risks, which becomes difficult as risks differ from business to business. Nevertheless, some risks might be the same to all the businesses or industries. Experts are researching on risks and risks management so that the whole system can be improved. Now, there is a new type of risk called ‘intangible risk’ that is mostly ignored by organizations mainly due to poor identification. Intangible risks are very dangerous because they have a hundred percent probability of occurrence. It is very important to take necessary measures to reduce these risks. They are directly associated with reduced productivity, falling cost effectiveness, substandard quality, lessening brand value, worsening service, declining earnings quality, and above all profitability, which is associated with all the above mentioned factors. This is why it is important to concentrate on intangible risk management. It allows risk management to create instant solution to the risks that put the business in danger. The method of risk management is simple. Firstly, risks are identified by doing research. Once identified, they are assessed to know their probabilities and the kind of damage they can cause. In the next step a strategy is planned to reduce the risks after prioritizing them properly so that the risks that possess the most danger and have the highest chances of occurring are taken care of first. Every business must take major steps to reduce risks. It is important that help from professionals is taken or risk management software are used as a solution. If risks are not properly accounted for, a business would find it difficult to thrive and grow.